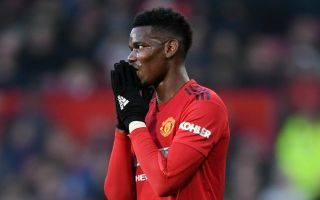 Juventus sporting director Fabio Paratici has seemingly confirmed his club have held discussions over sealing the transfer return of Manchester United midfielder Paul Pogba. The France international was a big hit in Turin between 2012 and 2016 before rejoining United in a big-money move. Since then, however, Pogba’s form has gone badly downhill, failing to look anything like the player who shone at Juve in his time at Old Trafford. This has led to speculation over the 25-year-old’s future, with a return to Juventus one of the many possible moves talked up in the press. And now, according to the Sun, Paratici has been quoted as suggesting his club have indeed held talks over bringing Pogba back. ‘A return? We have already discussed this many times,’ Paratici said. ‘He’s a great player we’ve had before and are fond of, but now he players for Manchester United. Paul Pogba back to Juventus after Manchester United struggles? It remains to be seen how this would go down with Red Devils supporters, with some likely to feel an exit is the best for everyone involved. Others, however, may feel Pogba could shine under the right manager, having shown glimpses of his best form in France’s World Cup-winning campaign this summer.